Conference Camera AVer CAM520 Webcam Package Contents : CameraRemote control5m USB cable to PC (USB2.0 mini B to PC)Power supplyQuick-start guideTabletop/wall/ceiling mount6.35mm tripod mounting screwVelcroCamera :Full HD 1080p 60fpsPan: ±130°; 0.45° stepTilt: +90°/-25°; 0.25° stepField of view (H): 72.5° (wide) ~ 6.3° (tele)Sensor: 1/2.8 low lux CMOS 2M pixelResolution: full HD 1080p (1920x1080), HD 720p (1280x720), PAL (1024x576), VGA (640x480), QVGA (320x240), QQVGA (160x120) at 60fps, 30fps and 15fpsScan: progressiveZoom: 18X total zoom (12X optical zoom)Lens focal length: 3.9mm (wide) ~ 47.3mm (tele)Lens F#: 1.8 (wide) ~ 2.8 (tele)Auto IrisS/N ratio: >50dBMinimum illumination: 1 lx (50 IRE, F1.6, shutter 1/30)2D and 3D denoiseBacklight compensationFlip, mirrorMinimum working distance: 1.5 meterInclude table/wall/ceiling mountKensington slot HUBUNGI KAMI UNTUK HARGA TERBAIK !!! 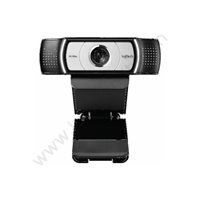 Conference Camera AVer CAM530 WebcamPackage Contents :CameraRemote control5m USB cable to PC (USB2.0 mini B to PC)Power supplyQuick-start guideTabletop/wall/ceiling mount6.35mm tripod mounting screwVelcro3m HDMI cableRS232 adapterCamera :Full HD 1080p 60fpsPan: ±130°; 0.45° stepTilt: +90°/-25°; 0.25° stepField of view (H): 72.5° (wide) ~ 6.3° (tele)Sensor: 1/2.8 low lux CMOS 2M pixelResolution: full HD 1080p (1920x1080), HD 720p (1280x720), PAL (1024x576), VGA (640x480), QVGA (320x240), QQVGA (160x120) at 60fps, 30fps and 15fpsScan: progressiveZoom: 18X total zoom (12X optical zoom)Lens focal length: 3.9mm (wide) ~ 47.3mm (tele)Lens F#: 1.8 (wide) ~ 2.8 (tele)Auto IrisS/N ratio: >50dBMinimum illumination: 1 lx (50 IRE, F1.6, shutter 1/30)2D and 3D denoiseBacklight compensationFlip, mirrorMinimum working distance: 1.5 meterInclude table/wall/ceiling mountKensington slotHUBUNGI KAMI UNTUK HARGA TERBAIK !!! 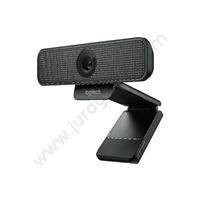 Conference Camera AVer CAM340 WebcamPackage Contents :USB3.0 4K cameraPower adapter (for USB 2.0 usage)USB3.0 type-C to type-A (6ft) cableUSB3.0 type-A to type-C adapterQuick guideCamera :Sensor: 1/2.5" Sony Exmor R™ 4K CMOS sensorFrame rate: 4K 25fps; 1080p, 720p, 960x540, 848x480, 640x480, 640x360, 424x240, 320x240, 320x180 at 60, 30, 15 fpsLens iris, focus, zoom: fixedAE, white balance: auto, manual override by PTZAppLens focal length: 3.37 mm +/- 5%Lens F#: 2.8Field of view: diagonal 94°, horizontal 85°, vertical 55°S/N ratio: > 50dBMinimal illumination: 1.4 lx (50 IRE, F2.8, shutter 1/30)2D noise reductionBack light compensationMinimum working distance: 80cm HUBUNGI KAMI UNTUK HARGA TERBAIK !!! 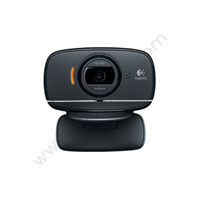 Buat Permintaan Untuk "CONFERENCE CAMERA"
Conference Camera AVer PTC500 WebcamPTZ Camera :Image sensor: 1/2.8" 60fps low lux CMOS sensor, 2 mega pixelsOutput resolution: Auto, 1080P/60, 1080P/50, 1080i/60, 1080i/50, 1080P/30, 720P/60Optical zoom: 30X, Digital zoom: 12XLens focal length: f=4.3mm (wide) ~ 129mm (tele)Iris: f=1.6 (wide) ~ 4.7 (tele)View of angle: DFOV=76° (wide) ~ 3° (tele)Minimum illumination: IRE50 0.47 lux (60fps); 0.23 lux (30fps)Preset number: 10 locations by remote (256 via RS232)Minimum working distance: 1.2 meter at tele-end (30X); 0.1 meter at wide-end (1X)White balance: auto/manual (2500 ~ 10000)Gain: auto/manualElectronic shutter: 1/5 s to 1/32000 sBLC (back light compensation): off/onExposure: auto/shutter priority/iris priority/manualNoise reduction: off/low/medium/highFrequency: auto/50Hz/60HzS/N ratio: >50dbHorizontal resolution: Center : 800 TV Lines; Corner : 600 TV Lines HUBUNGI KAMI UNTUK HARGA TERBAIK !!! 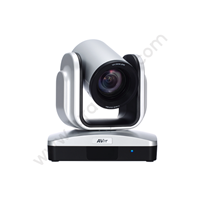 Conference Camera AVer PTC500S WebcamPTZ Camera :Image sensor: 1/2.8" 60fps low lux CMOS sensor, 2 mega pixelsOutput resolution: Auto, 1080P/60, 1080P/50, 1080i/60, 1080i/50, 1080P/30, 720P/60Optical zoom: 30X, Digital zoom: 12XLens focal length: f=4.3mm (wide) ~ 129mm (tele)Iris: f=1.6 (wide) ~ 4.7 (tele)View of angle: DFOV=76° (wide) ~ 3° (tele)Minimum illumination: IRE50 0.47 lux (60fps); 0.23 lux (30fps)Preset number: 10 locations by remote (256 via RS232)Minimum working distance: 1.2 meter at tele-end (30X); 0.1 meter at wide-end (1X)White balance: auto/manual (2500 ~ 10000)Gain: auto/manualElectronic shutter: 1/5 s to 1/32000 sBLC (back light compensation): off/onExposure: auto/shutter priority/iris priority/manualNoise reduction: off/low/medium/highFrequency: auto/50Hz/60HzS/N ratio: >50dbHorizontal resolution: Center : 800 TV Lines; Corner : 600 TV Lines HUBUNGI KAMI UNTUK HARGA TERBAIK !!! 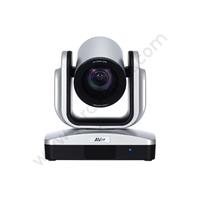 Conference Camera AVer PTZ330 WebcamCamera :1/2.8" 1080p 60fps Exmor CMOSApprox. 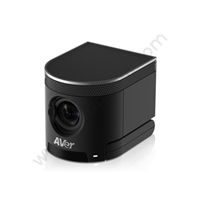 2.1 MegapixelsAuto1080P@60, 1080P@59.94, 1080P@50, 1080i@60, 1080i@59.94, 1080i@50, 1080P@30, 1080P@29.97, 1080P@25, 720P@60, 720P@59.94, 720P@500.3 lux (IRE50, F1.6, 30FPS)> 50dBAuto/Manual800 (center/wide), 600 (corner/wide)1/1 s to 1/32,000 sAuto, Manual, Priority AE( Shutter, IRIS), BLCAuto/Indoor/Outdoor/One-push/Manual( 2500 - 10000)Optical Zoom : 30XDigital Zoom : 12X HUBUNGI KAMI UNTUK HARGA TERBAIK !!! 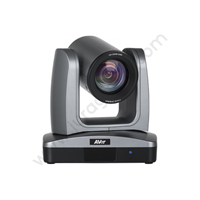 Conference Camera AVer PTZ310 WebcamCamera :1/2.8" 1080p 60fps Exmor CMOSApprox. 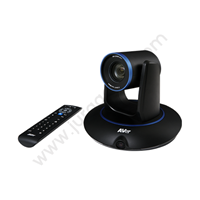 2.1 MegapixelsAuto1080P@60, 1080P@59.94, 1080P@50, 1080i@60, 1080i@59.94, 1080i@50, 1080P@30, 1080P@29.97, 1080P@25, 720P@60, 720P@59.94, 720P@500.4 lux (IRE50, F1.6, 30FPS)> 50dBAuto/Manual800 (center/wide), 700 (corner/wide)1/1 s to 1/32,000 sAuto, Manual, Priority AE( Shutter, IRIS), BLCAuto/Indoor/Outdoor/One-push/Manual( 2500 - 10000)Optical Zoom : 12XDigital Zoom : 12X HUBUNGI KAMI UNTUK HARGA TERBAIK !! !